Co-marketing has changed. For decades, mortgage loan officers (MLOs) have worked alongside their Realtor partners to drive new business through methods like Marketing Service Agreements (MSAs) that were really just ways for lenders to market themselves to real estate agents rather than consumers in hopes of gaining their buyer referrals. But the game has changed. Lenders are now shifting their thinking – and marketing dollars - away from things like MSAs and toward true MLO-Realtor co-marketing strategies and efforts. This is a positive transition, but like any major change, pitfalls can surface as everyone involved negotiates the new landscape and rugged compliance terrain. Today’s co-marketing is about developing business with Realtor partners instead of simply asking them for it. MLOs are frequently bombarded with requests for a variety of marketing materials from their co-marketing partners. Their desire to quickly produce collateral often results in a workflow logjam when the requests can’t be processed easily through a system that isn’t built for the complexities of co-marketing. This is where most companies resort to reactivity: acting haphazardly and oftentimes outside of compliance and brand boundaries. By taking the proactive approach of aligning all sales, marketing and compliance within an overall co-marketing strategy that incorporates pre-approved, readily-available marketing materials, you will drastically reduce delays and frustration. Being audited is one of the biggest concerns in the industry. And with good reason: Not only are the penalties stiff for non-compliance, regulators typically expect lenders to be able to produce all advertising and marketing materials in five days…or less. Without a centralized system where everything can be accessed instantly, you lose valuable time and run the risk of missing audit deadlines. Having a single system of record where all of your media and marketing materials reside is the best way to ensure your company and individual producers are never caught off guard by industry watchdogs. Salespeople are notorious for their extensive drive and short attention spans. And while their eagerness to produce and disseminate marketing materials on demand is admirable, it can be damaging not only from a liability standpoint, but also in terms of diluting – or destroying – your brand. Reduce – or eliminate – rogue marketing activity by ensuring you have a compliance review process in place and that management is on board with enforcing it. Co-branded materials seem simple: an attractive marketing piece featuring an MLO and Realtor that drives business for both parties. But the Real Estate Settlement Procedures Act (RESPA) has very specific requirements in terms of how much each co-marketing partner can pay toward any singular marketing piece. In order to reduce risk, it’s imperative that documentation is kept regarding exactly how percentages of costs are assigned to – and paid for – by each of the co-marketers. It’s also important to have a system in place that collects payment from all parties before co-marketing collateral is deployed. Sole reliance on Realtors for business is a thing of the past. The modern lender reaches out to different databases, spheres of influence and consumers in general about all types of real estate transactions, and seeks to drive business they uncover to agents in addition to capturing and nurturing leads from multiple sources and the earliest phases of the sales process. Companies and MLOs who make and execute effective marketing plans powered by best-of-breed technology constantly work multiple channels of business and stir interest in homeownership, property values, market data and what it means to consumers at any given time. Automated, education-based marketing facilitates long-term lead nurturing that builds relationships with potential buyers and solidifies partnerships with Realtors. Choose partners with brands and philosophies that align with your own and reap the rewards of co-marketing in a new era. Are you ready to take your co-marketing efforts to the next level? 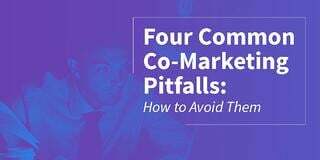 Download Total Expert’s free Co-Marketing Guide: 4 Common Pitfalls Lenders Face for a comprehensive look at how to circumvent snags and solidify successes.